CONTROL WITH YOUR HAND GESTURE! Introducing the COLORFULZ™ FLYING HELI BALL! Featuring a coaxial rotor system for precise movement and increased stability when hovering. The COLORFULZ™ FLYING HELI BALL's body is also constructed with a durable material making it strong yet lightweight so you don't have to worry about breaking anything when it lands a bit too rough. 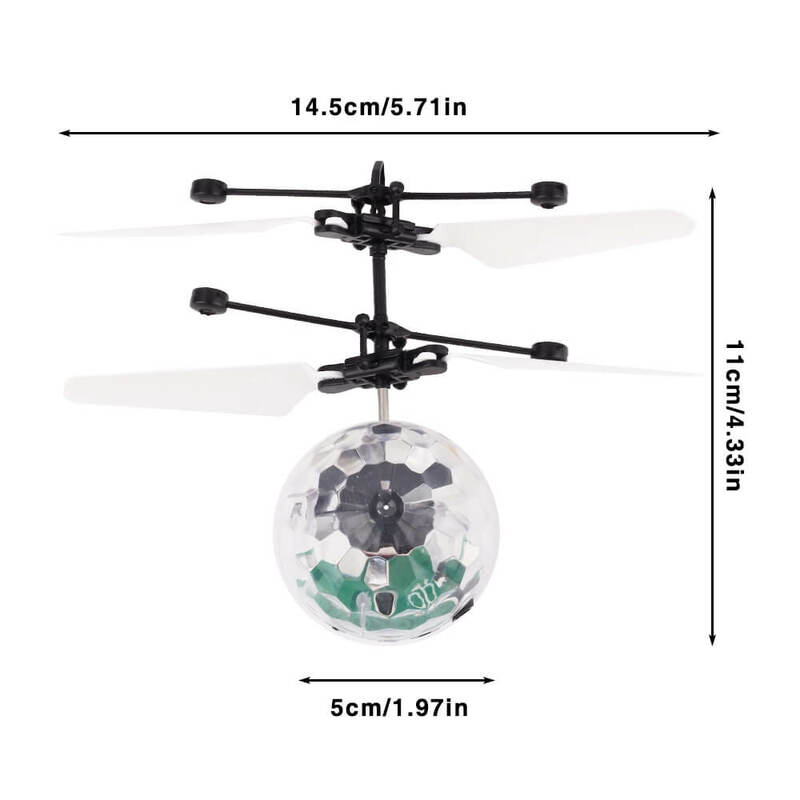 Using infrared motion sensitive technology, the COLORFULZ™ FLYING HELI BALL will detect nearby objects and is programmed to move away from them. Simply turn on and launch to get started, holding your hand underneath it will keep it hovering up in the air. When done flying you can try and grab it but you can also use any IR remote control to shut down and recover safely, it's that easy! 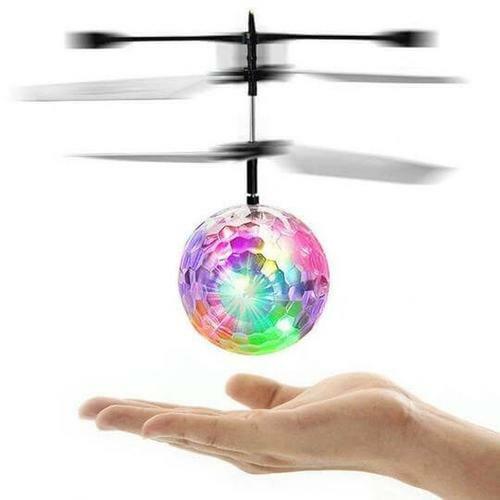 A must have for fans of helicopters, get the COLORFULZ™ FLYING HELI BALL today!